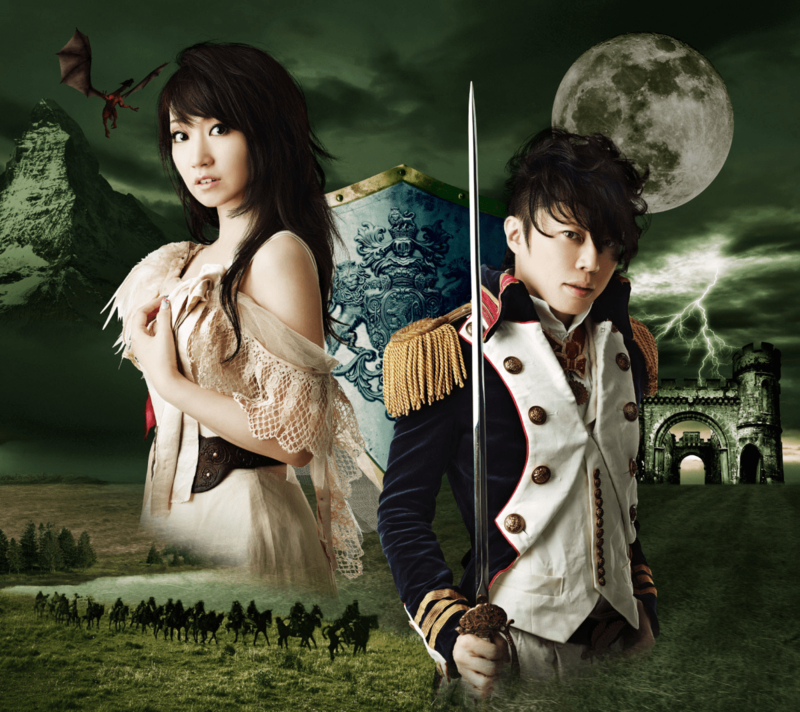 Review: After the mediocrity that was Preserved Roses, the potential for the power-pop/rock duo of Nana Mizuki and T.M.REVOLUTION to make a lasting mark in J-pop/rock looked destined to be a short-lived experiment. Undeterred – or perhaps it was a contractual matter – they continued on and released a surprisingly much-improved single for Valvrave the Liberator’s second opening theme. This single, titled Kakumei Dualism, doesn’t shake off all of my doubts about the duo’s ability to synergize, but at the very least, it outshines its predecessor by leaps and bounds, suggesting that maybe there’s something to this Nana Mizuki x T.M.REVOLUTION arrangement after all. Perhaps it was Elements Garden’s Noriyasu Agematsu’s compositional sensibilities that allowed the two to click. Agematsu’s music and Nana Mizuki’s vocals have complemented each other nicely with the former writing solid hooks to catch the listeners’ attention while the latter’s steady and solid delivery gives those songs their emotional punch. Adding T.M. Revolution to this tried and true mix isn’t altogether seamless, but Agematsu succeeds in incorporating him cleanly by playing to T.M. Revolution’s strength: being passionately loud. And boy is “Kakumei Dualism” unabashedly loud. The short guitar riffs that open the song are hard to ignore with their bursts of energy setting the tone for the rest of the song. Where the song really gets going is in the intense exchanges between Nana Mizuki and T.M. Revolution in which the two develop their rapport by completing each other’s thoughts before merging together in a vocal display that’s effusive in the passion that fires forth with reckless abandon. With all those emphatic declarations and the fierce delivery brought to bear, the song can be just a bit overbearing for those who prefer softer fare. But as a competent example of a power-pop/rock duet made for an action-filled mecha title (are any other kinds, really? ), “Kakumei Dualism” succeeds. “Kakumei Dualism” packs very little nuance as it’s content to let its two vocalists gush with fiery passion and energy. As much as I appreciate the intensity of the vocals in all their glory, I find it difficult to imagine this being anything more than a song du jour. That is, I’ll enjoy its flavor over the next few weeks, but over the long haul, I’d prefer something a bit more filling. Agree on how this one is better than the last. I think they’ve done pretty well in the sales, so I wouldn’t be surprised if they continued to release collaborations. They’ve got potential, and I’ll be hoping they do more :-). But I want a ballad sometime! I find the song overbearing and I listen to metal, so yeah.. loud vocals from T.M.Revolution. On the other hand, Nana’s pretty solid. Do you have any T.M.Revolution or Nana Mizuki songs that you like on their own? And sales sure aren’t an indicator for quality 😉 I mean, look no further than AKB48 for a prime example of that. In terms of their works as individual artists, I’ve really enjoyed Nana Mizuki’s Justice to Believe and most of her Nanoha stuff have been enjoyable. Glass Flower from White Album is pretty good too. TM Revolution, I haven’t had extensive experience with, but does Abingdon Boys School’s Jap count? I guess it counts. I do like this song better than the first one… but not by much. The only real reason I prefer it is because I like Noriyasu Agematsu’s sound more than Daisuke Asakura’s. I was pretty hyped for this collaboration but it’s left me underwhelmed as a whole. Maybe it wasn’t meant to be? At this point I’m thinking it might have been better if they had gotten TMR solo for OP1 and Nana Mizuki solo for OP2. That might not have been a bad idea to separate the two since we’ve seen clearly that the two don’t synergize all that well. An example in which the whole is far less than the sum of its parts. Precisely as you said, it might stick for a few weeks, but the sound of it fades soon. What personally bothers me with the track is that it’s too raw and “loud” without necessarily being heavy, so I still prefer Preserved Roses, despite the generic factor.